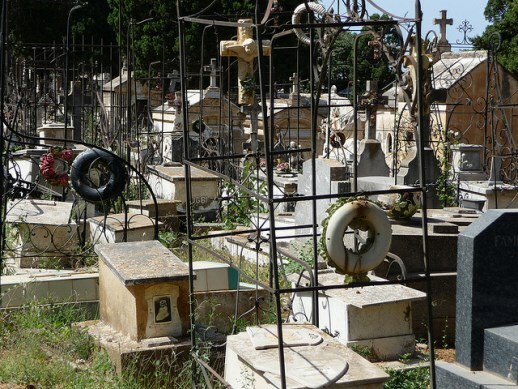 A Christian family in Algeria has been refused permission to bury their son in the local public cemetery because he was not a Muslim. “The leaders of the mosque demanded that I would have to follow Islamic burial rites if I was to bury my son in the cemetery,” said the father of 24-year-old Lahlou Naraoui, a University student. Naraoui’s family, who live in Chemini in the Kabylie region of northern Algeria, said they could not follow the Muslim leaders’ demands and instead chose to bury their son on private land. “The Muslim community of Chemini informed us that their religion does not allow them to bury a Christian in a cemetery where Muslims are also buried,” said Nordine Mahmoudi, pastor of the Protestant Church of Bejaia, who led Naraoui’s funeral ceremony. This is not the first time that Muslims in Algeria have opposed a Christian burial at a local cemetery. In 2011, the Muslim community in the town of Akbou, also in Kabylie, refused to admit a Christian burial in the local cemetery, saying that “Islam does not tolerate the burial of unbelievers alongside Muslims”. In that instance, a local church donated a plot of land on which Christians could be buried. Christians and non-Christians in Algeria continue to find themselves in trouble with the law for failing to participate in Islamic customs. On Jan. 27, two Algerians were sentenced to four months in prison for failing to adhere to the Muslim fast of Ramadan last July and August. The verdict was handed down at the criminal court of Sidi Aich in the Kabylie region. Neither man is a Christian. This is not the first time Algerians have been jailed for failing to fast, regardless of their own religious beliefs. In 2001, a restaurant owner in Bejaia served two months in prison for opening his restaurant during the daylight hours of Ramadan. 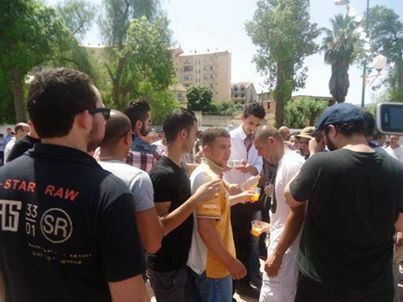 Protesters in Tizi Ouzou share soft drinks during Ramadan. In 2010, 27-year-old Bouchouta Fares, from Oum el-Bouaghi in southeastern Algeria, was sentenced to two years in prison and fined 100,000 dinars (1,000 euros) for failing to fast. In the same year, two Christians who failed to fast also faced charges in Ain el-Hammam, west of Bejaia, where the prosecutor recommended a three-year jail sentence. The Christians were released without charge. Although there is no specific legislation prohibiting Algerians from abstaining from the fast, the Algerian Constitution stipulates that Islam is the state religion. Non-fasters face accusations of denigrating the precepts of Islam and of disturbing public order. In August, a protest was held in the city of Tizi Ouzou, west of Bejaia, during which hundreds of locals ate publically during the month of Ramadan, denouncing what they referred to as the “persecution of non-fasters”. This came in response to the arrest of four Algerians in July for eating at a local café during Ramadan.